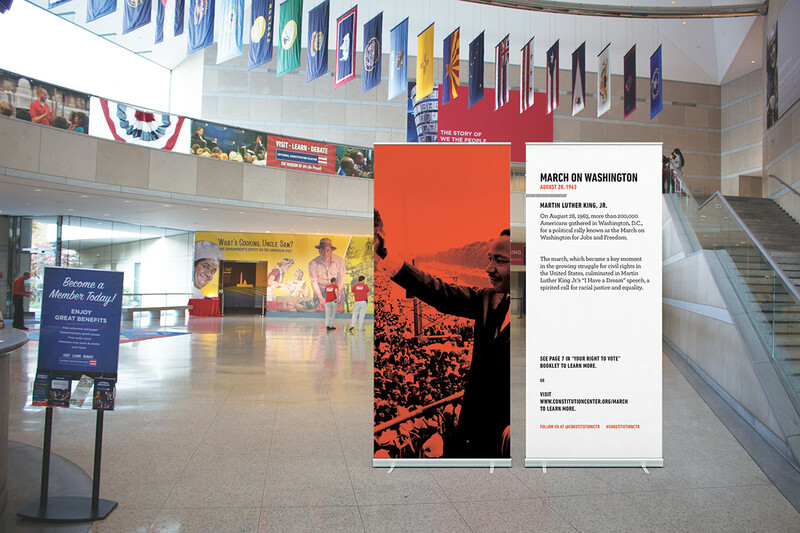 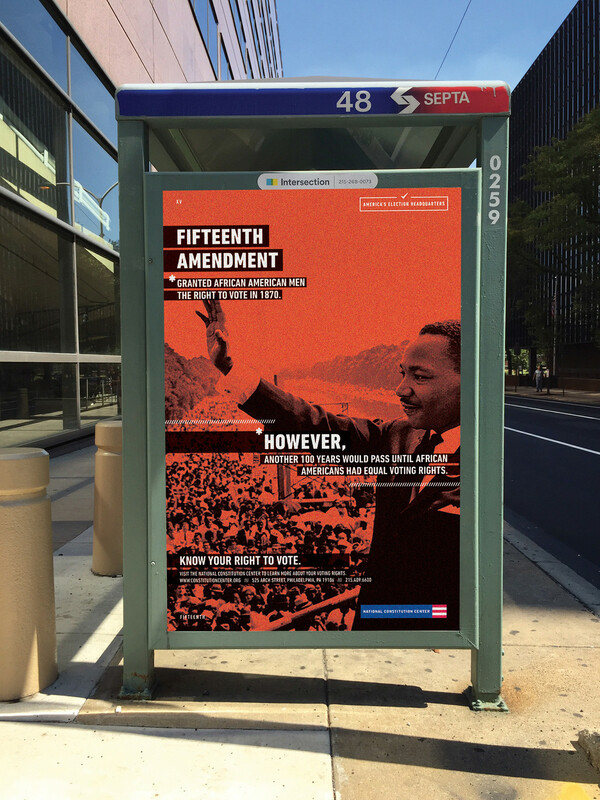 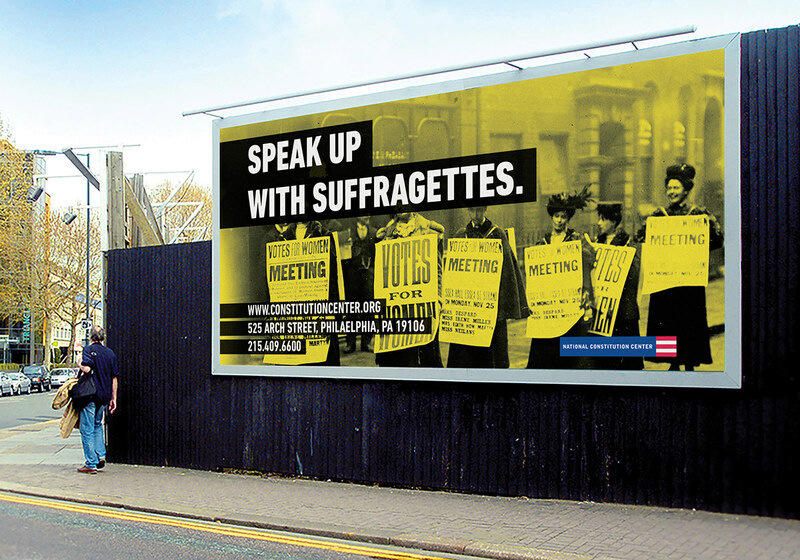 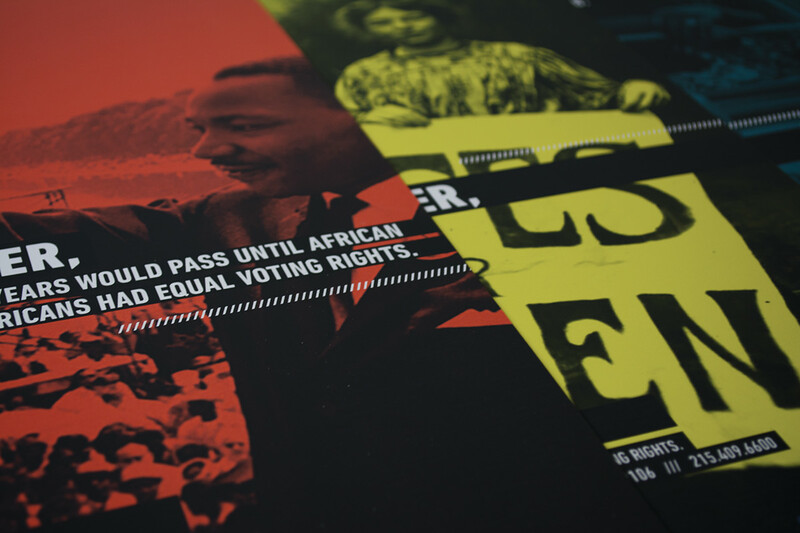 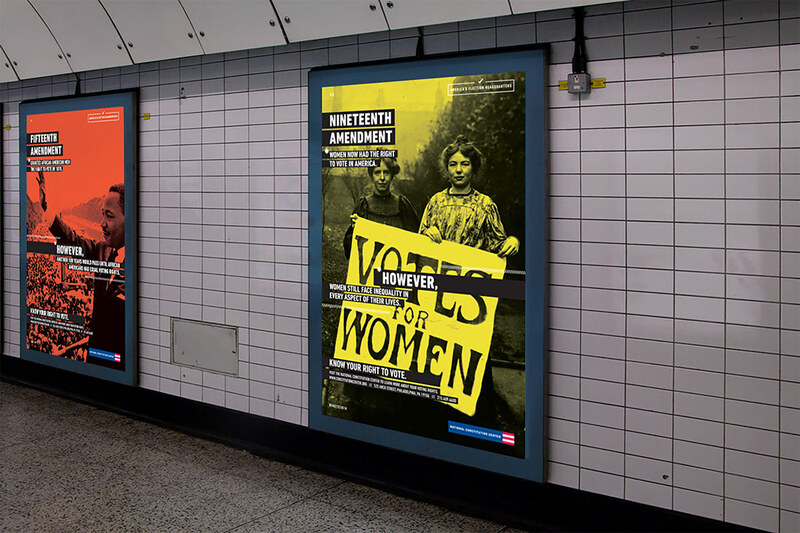 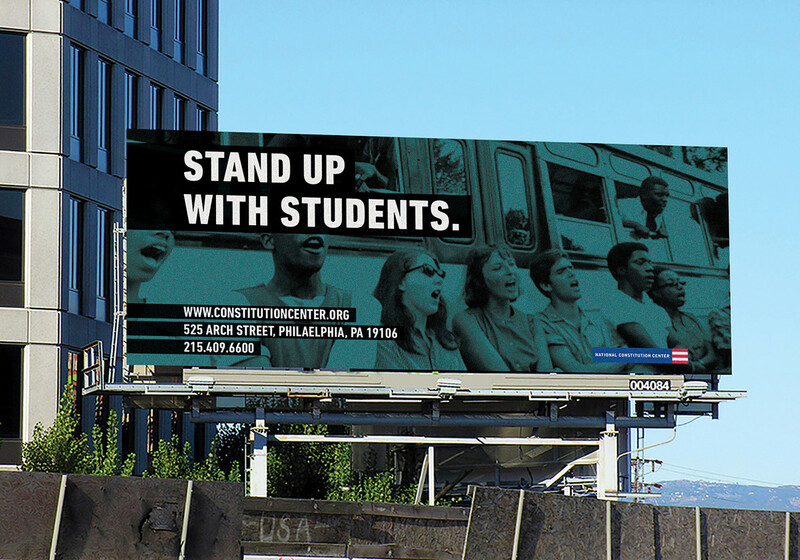 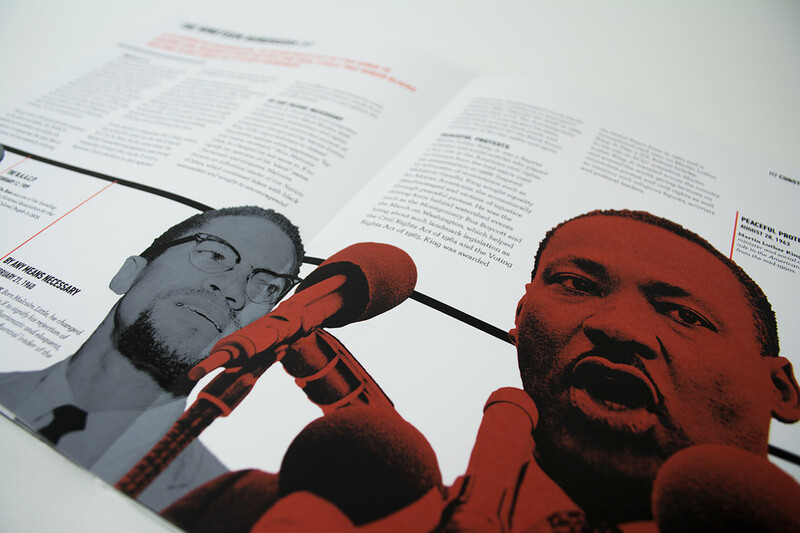 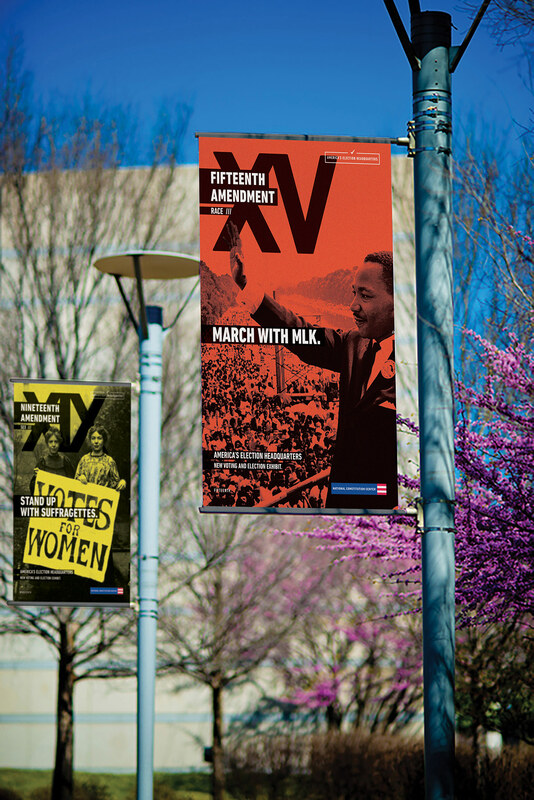 For the National Constitution Center and Philadelphia University Graphic Design Collaboration, I focused on three United States Constitution Amendments that are specific to voting rights. 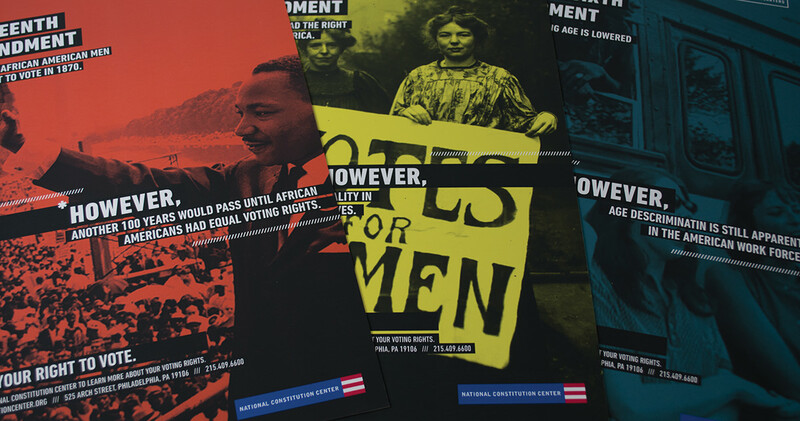 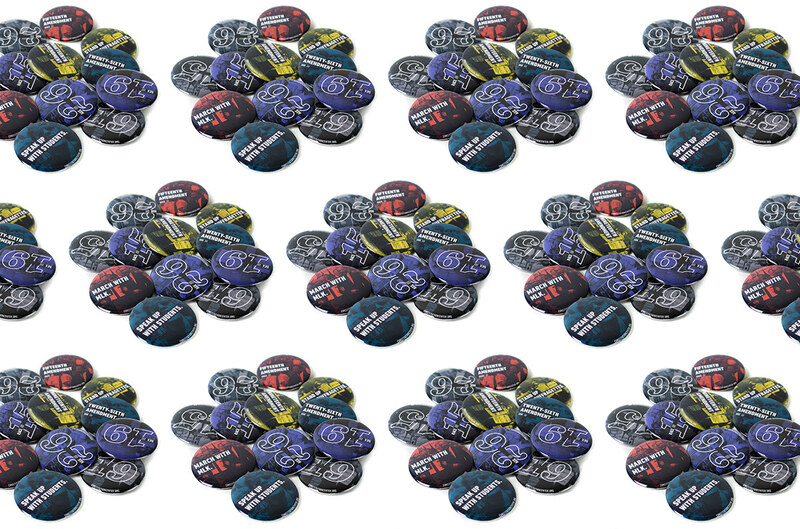 The amendments are the Fifteenth, granting African American men the right to vote, the Nineteenth, allowing women to vote, and the Twenty-Sixth, lowering the legal voting age from twenty-one to eighteen. 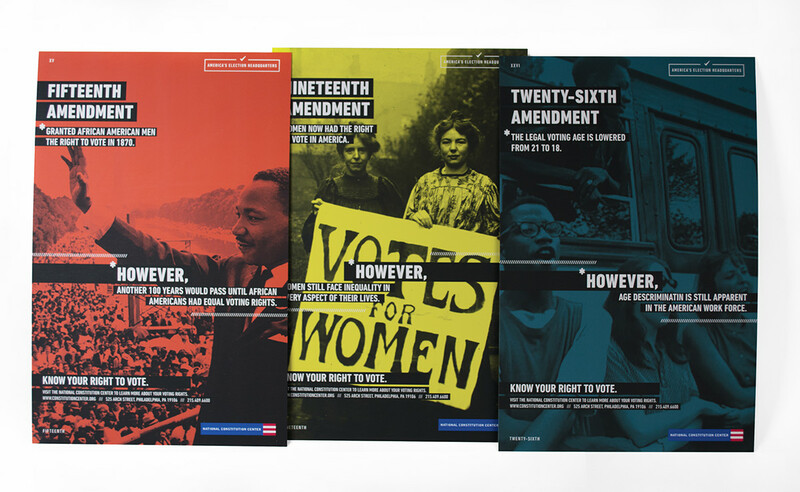 These amendments not only allowed more people to vote, but also changed America’s history, and paved a new future in American society. 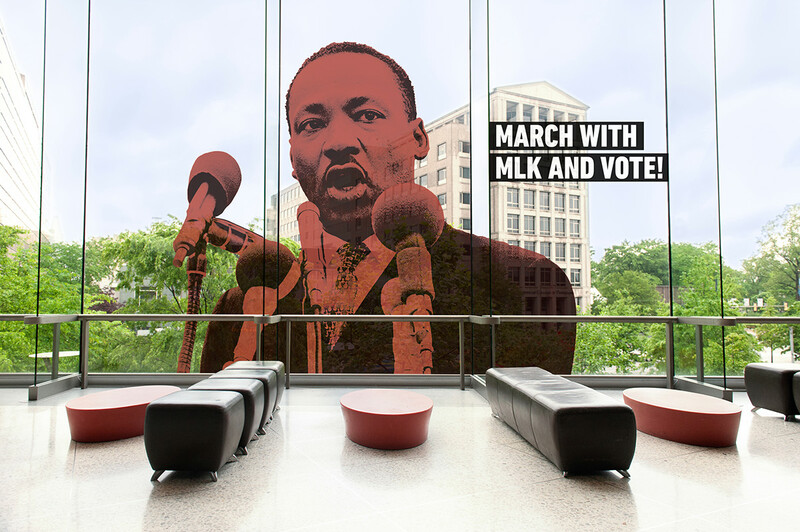 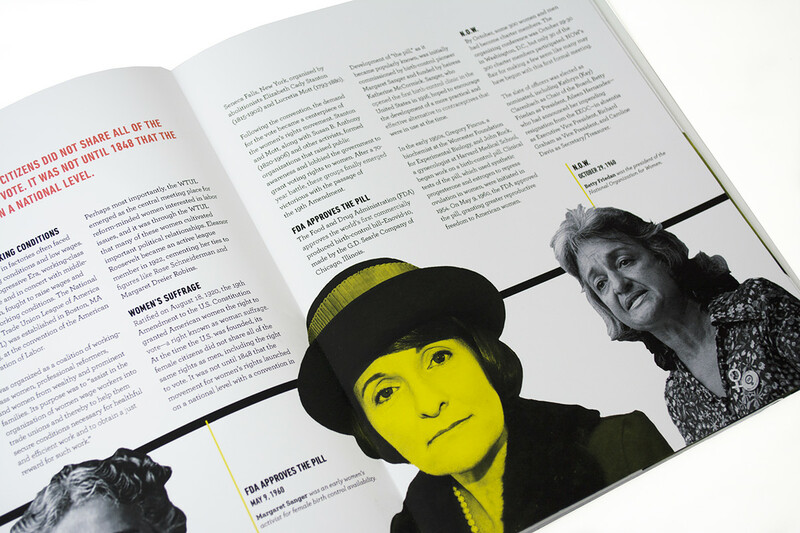 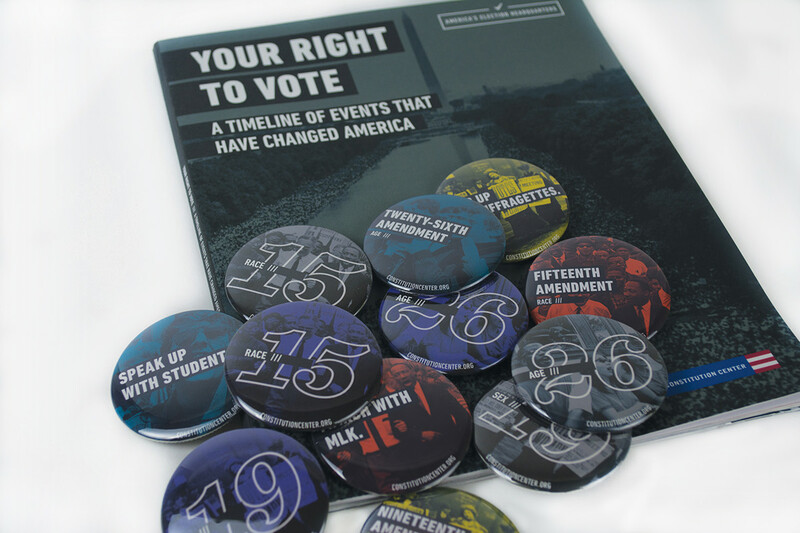 This monumental change in history is shown through an exhibition that informs people of voting rights history, starting from the events that lead up to the voting amendment, to how the amendment impacted future society in the United States. 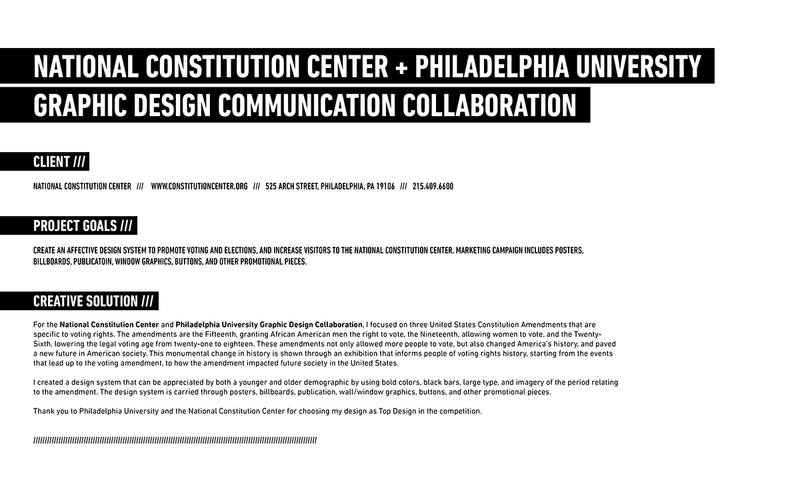 Thank you to Philadelphia University and the National Constitution Center for choosing my design as Top Design in the competition.